Berliner – Speckled White Matte by Object & Totem. Hand thrown mug with u shaped handled and foot detail. Mid fired non toxic glaze lead free white matte glaze on exterior and white gloss on interior. 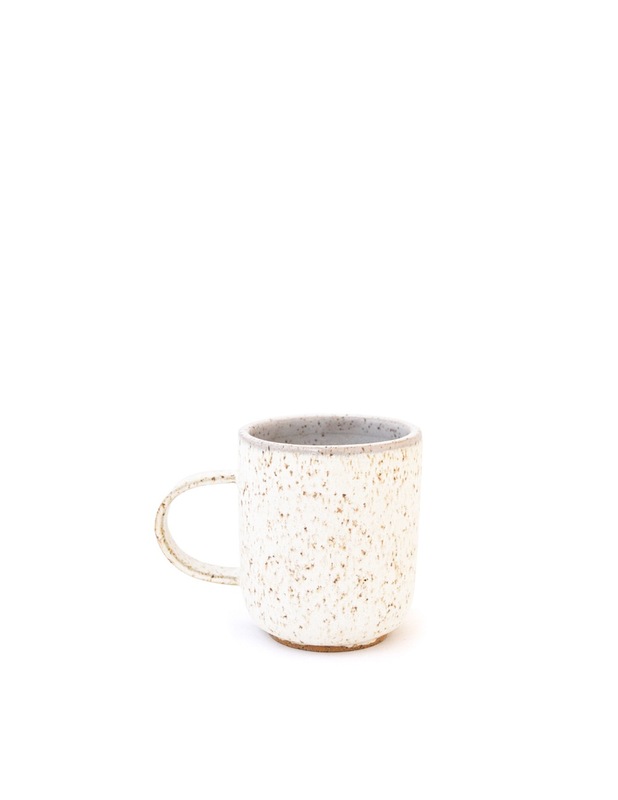 Available in Speckled White Matte.